Mark S. Stern, MD, is board certified by the American Board of Neurosurgery. He is an active member of the American Association of Neurosurgeons, California Neurosurgeons Association, San Diego Academy of Neurosurgeons, and American Medical Association among others. Dr. Stern began his medical training at the Albany Medical College in New York. Upon completing his fellowship, he accepted an internship and residency at Georgetown University, where he was immersed in general surgery. His primary interest however remained spinal disorders, pain management, and pediatric neurosurgery. During this time, he focused on writing a number of research articles on these topics and would eventually be rewarded with a fellowship in neurological surgery from the National Institute of Health (NIH). 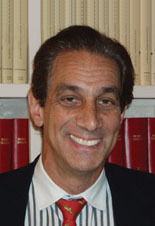 Upon completion of this second fellowship, Dr. Stern moved to Los Angeles to finish his residency training at the University of Southern California. Here he continued to perfect his microsurgical skills in the areas of vascular tumors, aneurysms, cranial base brain tumors, and all manner of spinal pathology. Dr. Stern continues to strive for excellence as the only option in his practice, and welcomes the opportunity to provide the care, education, and professionalism that you require.